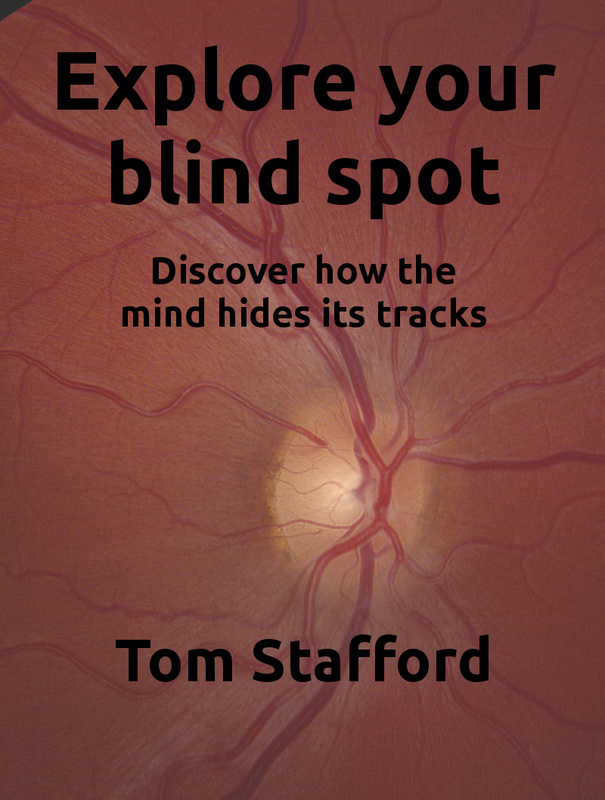 I’ve written an ebook called ‘Explore your blind spot’. It’s about, er, exploring your blind spot! In the best tradition of Mind Hacks I take you from the raw experience to the cutting edge of scientific theory. The blind spot is a simple phenomenon of our visual processing, but one we don’t notice day to day. In the ebook I talk about how it provides a great example of the way consciousness is constructed despite ‘missing’ information. Like the ebook subtitle says, the blind spot gives us an insight into the mind hides its own tracks. The ebook is available in all major formats here and is creative commons licensed. That means it is free, not just to download but also to share. You can even edit it and pass on modified versions, as long as you keep it CC licensed. I’ve written this book as an experiment in ebook publishing, and as a test-bed for what I think could be a good format for presenting open-source guides to the myriad interesting phenomena of psychology. If you’ve got feedback let me know. Friend of mindhacks.com and contributor to the original Mind Hacks book, Christian Jarrett has written the “The Rough Guide to Psychology“, published this month, and a right rip roaring read it is too. It’s a whistle-stop tour through all aspects of the science of mind and behaviour, which reveals just how diverse and rich the field of psychology is. From visual perception to intelligence testing, sport psychology and gender differences to developmental disorders – Christian is the consummate guide, introducing the scientific essentials, giving the history of psychological research and highlighting links to the everyday world of our own experiences. The reader gets the benefits of Christian’s unique skills – he’s a fully trained research scientist but also has the jackdaw curiosity of the science journalist, honed by the experience of writing for the BPS Psychologist magazine and Research Digest. It isn’t possible to download knowledge in the way Keanu does in the Matrix (“I know kung-fu“), but reading the Rough Guide to Psychology feels like the next best thing. Wonderful breadth, impressive depth and fun throughout – the next time someone asks me for an introduction to Psychology I’ll give them this book.